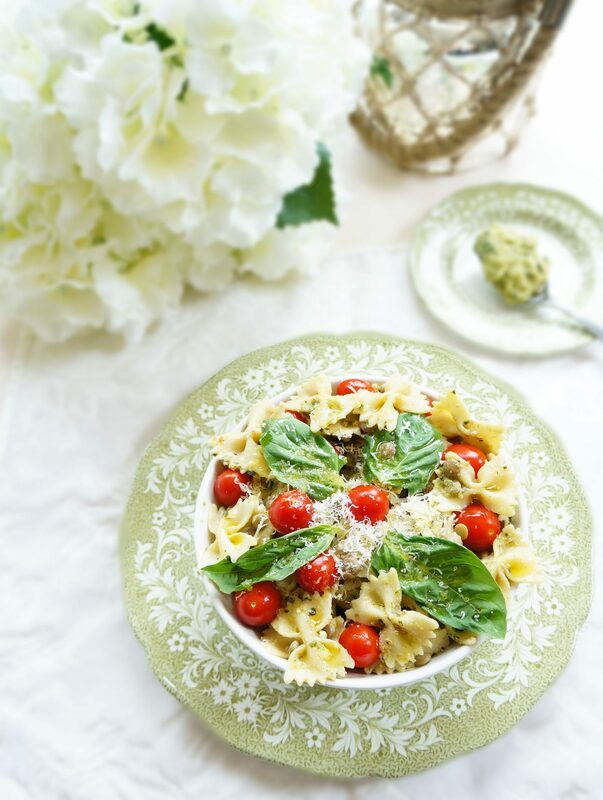 This lentil pesto pasta salad is packed full of flavour and is also a good source of fibre, protein and iron from the lentils. 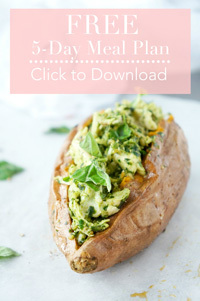 A great salad to take along to your next summer BBQ! I’ve had lentils on my mind a lot lately. There are so many other things that I could think about, but this month in particular, my mind keeps drifting back to lentils. I even had a dream about lentils. That, ladies and gentlemen, is when you know that you love what you do. I tend to go through phases of thinking about different foods depending on my mood or what’s going on at work. Last week it was beef. The week before it was walnuts. And now it just happens to be lentils. Probably because this month at work, our focus has been on teaching customers about the benefits of lentils. In the process though, I’ve learned quite a bit myself! First of all, I’ve learned through A LOT of recipe research that lentils can be pretty much incorporated into anything. Also, I’ve always known that lentils are super healthy, but 25 grams of protein and 29 grams of fibre per half cup serving?? With that nutritional profile, why are we all not eating lentils on a daily or weekly basis?! Finally, lentils are super easy to cook and don’t even need to be soaked. Just rinse and boil in water for around 30 minutes. That’s it! You can even cook them in broth or with a bay leaf to give them extra flavour. 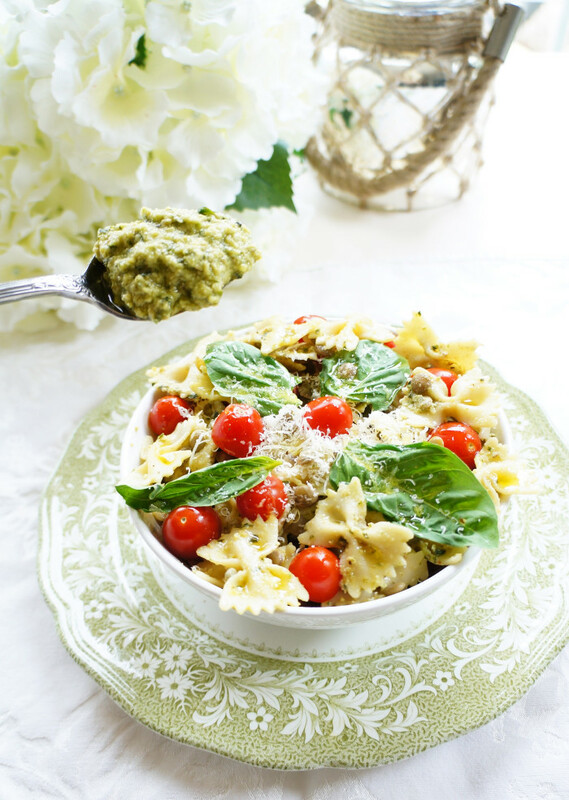 I was doing a cooking class one day teaching the group about how to up their fibre and protein intake and decided to make this delicious Lentil Pesto Pasta Salad. I love the addition of lentils to the pasta because it ups the fibre and protein content. This recipe also feeds a TON of people. I had enough leftovers to last a week! So if you’re heading out to any summer BBQs, this would make a great dish to bring along! Cook lentils according to packaging directions. In a food processor or magic bullet, add basil, garlic, pine nuts, lentils, and lemon juice. Pulse, then add oil and puree. Add parmesan cheese and process once more. Season with salt and pepper. Set aside. Bring a large pot of water to a boil. Add pasta and cook until “al dente” or until desired texture has been reached. Drain and toss with 1 tbsp. olive oil to prevent pasta from sticking. 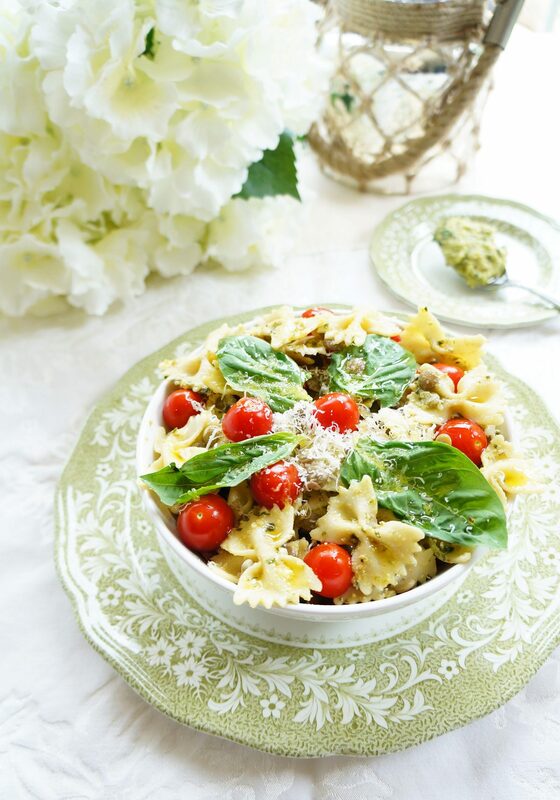 Toss pasta, tomatoes, and pesto in a large bowl. Garnish with Parmesan cheese, basil, and a drizzle of olive oil as desired. Serve immediately.